Your digestive health is directly impacted by the foods you eat and the lifestyle you live. By taking steps to improve your digestive health, you’ll help your digestive system to function more efficiently, improving your overall health and sense of well-being. Your digestive system breaks down the foods you eat into the nutrients your body needs. 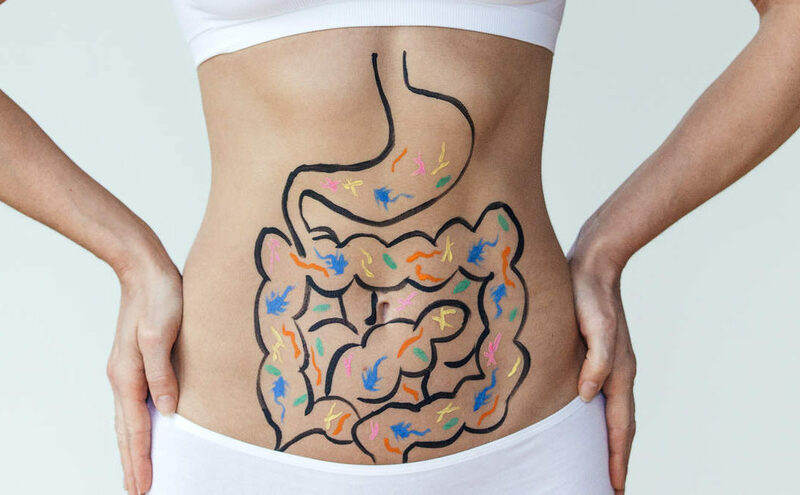 If you neglect your digestive health, your body could run into problems absorbing those nutrients. The stomach will expand to fit a gallon of ice cream, but that doesn’t mean it should. The best measurement is your hands. You shouldn’t eat more at one sitting than would fit in two hands cupped together. Also, increase your in-take of fresh fruits and vegetables to seven servings a day and, if you consume red meat, eat it no more than twice a week. These subtle changes will decrease acid reflux, constipation, and indigestion. Enzymes, biologically active proteins throughout body, play an important role in digestion. While many are produced in the digestive tract, the enzymes found in raw foods are also needed for good digestion. Overcooked, processed foods lack many of these natural enzymes, so make sure to integrate plenty of raw, natural food into your diet. Different foods have different digestion times and require different digestive enzymes. Therefore, eating too many kinds of foods at one time, such as proteins with grains, fats, and sugars, can cause indigestion. Eating the right food combinations not only helps improve digestion, but can also increase energy, regulate elimination, and help relieve depression, anxiety, and mood swings. Learn more about Ayurvedic Food combining here. A brief rest after the meal will give you a good start on digestion. Sit for 10 minutes or so after lunch, either keeping quiet or enjoying pleasant conversation. If you can, lie down on your left side, essentially giving the stomach extra space. If not, sit on a park bench or even at your desk, enjoying a few minutes of meditation or contemplation before you return to your busy day. In yoga, the combination of asana, heat, hydration, and breathing supports a healthy digestive system. Yoga encourages peristalsis, which moves waste and toxins through the colon. It may favor the proliferation of healthy bacteria and also develops the abdominal muscles, all of which contribute to a healthier gut. Practice forward bends like seated forward fold and twists, which will compress the lower abdomen and release gas. Also use pranayama techniques to help oxygenate the entire body, including the digestive tract. In Ayurvedic tradition, spices help make food more digestible by “predigesting” the food during cooking. Heat combines and awakens their aromatic qualities, making the nutrients easier to digest. Great spices to enhance digestion include black, long, fenugreek, ajwain, cardamom, cinnamon, coriander, cumin, fennel, licorice, and turmeric. The quality and flavor of the herbs in tea, and its virya (energy), helps stoke the agni (digestive fire) within us and nourishes our bodies. For best digestion, try ginger, lemon, licorice, and mint tea. Also great in your tea are spices like cardamom, cinnamon, and long pepper. When not drinking tea, sip on hot water throughout the day. This will help flush out toxins and aid in better digestion and assimilation.